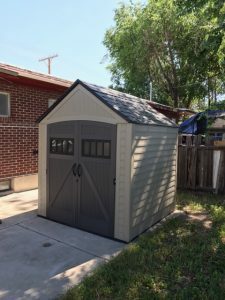 Our Tech Isaac put this shed together and he can do the same for you! Give us a call today! Meticulous Remodel is really stepping up its game for the summertime. 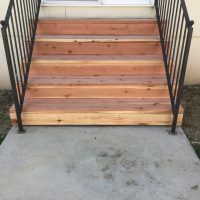 Please contact us if you’re considering putting in new steps are building a new deck to entertain your friends and family. Would love to help you out. A father and son that stains together, stays together! We love working with those we love. Especially when it’s doing a great job for great clients. No job is too small for us to come on over and give ya a hand. If we can teach our family the importance of hard work in the process then we welcome the opportunity! We love helping people’s stairwells look better. This job had 1′ x 1′ mirrors on the walls and ceiling but the client didn’t want to install a disco ball so she had us take them down. 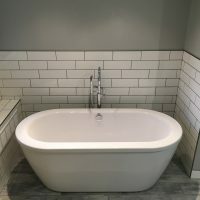 Meticulous Home Remodel & Repair also services commercial businesses! It’s always great to come home. However, it’s even better to come home and be greeted by a warm new front porch. Check out the latest before and after pics! Who doesn’t like an upgrade!